The Last Desert 2018 has started! Stage 1 countdown took place in front of the Bellingshousen Station at 7:15 this morning, and competitors have had a good three hours of running so far. This means that the leaders have had approximately 45 kilometers in by now. Wong Ho Chung and Isabelle Sauve are in the lead at the moment. Weather permitting the stage will continue until approximately 17:00. Weather so far is pleasant. It’ around -1 degrees Celsius and not too breezy. It is overcast at the moment which can be a good thing as the sun in Antarctica is super strong. When competitors get to the top of the Bellinghouse station they have wonderful views of the island. When they get to the other side of the island this is where the penguins and seals join, depending on what they are up to. If it’s a sunny day, they will be sunbathing and watching the competition. Follow the race coverage including results, photos, videos, stage updates and breaking news on the LIVE website at https://www.4deserts.com/thelastdesert/live. Stay updated on the news via Facebook, Twitter, YouTube and Instagram. It’s 20:00 on M/V Plancius. Competitors were treated to a 20-minute show by Fin Whales at 14:30 local time today! They are second in size to Blue Whales and feed on grill. They are not whales that show their tales when diving, but there was lots of water spayed into air by their blows when the whales past the boat. Two fin whales spotted from the boat. These giant animals travel at 25-30 knots which is twice as fast as the M/V Plancius could sail! Wandering albatross and the beautiful, gracious Light Mantled Sooty Albatross were also putting on a great show today. Some competitors are keen to get on land. The moment is nearly here though, and today, all ship passengers were asked to go to the boot room to collect their pair of wellies. In addition, competitors were asked to bring their trainers and every last stone and piece of dried on mud needed to be removed. There was a disinfectant bucket and a scrubbing brush but it was a lesson in how to properly clean our shoes after running a muddy trail. The cyber lounge is set up in the ship’s library, right near the bar, although competitors are saving the beers for the return trip to Argentina which hopefully will be a smooth sail. Competitors have been writing blogs and emails during the day so blog updates are expected to be posted soon. Expedition staff member Pippa gave a lecture on whales and the different types that can be spotted while crossing the Drake Passage. There was also a mandatory briefing on how to get on and off the zodiac boats, which everyone will be experiencing tomorrow for the first time. Competitors also had a briefing on what to expect on shore tomorrow and subsequent days. Everyone feels that it is a privilege to be here, and therefore we want to keep the area as untouched as possible. Miia, the ships’ 2nd officer is from Finland. 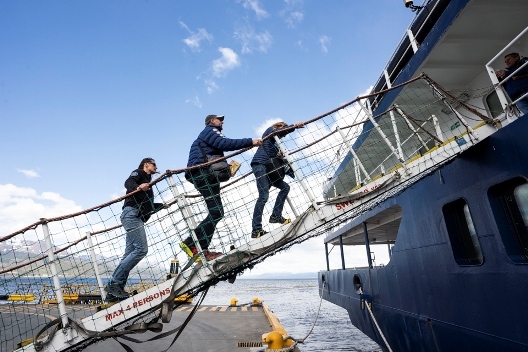 A quick trip to The Bridge shows that Plancius has travelled 570 nautical miles and have 99 to go to King George Island. The ship passed a couple of ice blocks in the ocean today. They were about 10 metres across, so too small for icebergs, and are known as growlers. The expected arrival time is 4:30 on Monday morning. Competitors’ breakfast will be ready at 5:00 for an early landing and Stage 1! Bryan Murphy who will run under the British flag asked “Are we nearly there yet?”. Bruno Seguin (below) noted: “It’s warmer than in Canada”(where he has just recently moved). Today’s blogs will be posted soon, as well as more photos from the day. M/V Plancius is moving well through the Drake’s Passage. The Last Desert 2018 participants have travelled exactly 500 nautical miles from Ushuaia and they have another 162 miles to go to the first race location on King George Island. The wind speed is currently a very manageable 15-20 knots. It is expected to get slightly stronger over the course of the day. The 2nd Officer Matei from Romania is working on the bridge and shows the navigation charts to any passenger who goes up to the 6th level. He enjoyed meeting our two Romanian competitors Iulian Rotariu and Andrei Gligor. In anticipation of the first landing tomorrow, competitors are now in the process of vacuuming their outer gear, including drop bags, backpacks, parka jackets and shoes. This is a requirement by IAATO (International Association of Antarctica Tour Operators) to ensure no foreign bacteria make it onto this pristine land. It’s 7:30 in the morning and competitors are starting to wake up to their second morning on the Expedition Ship. 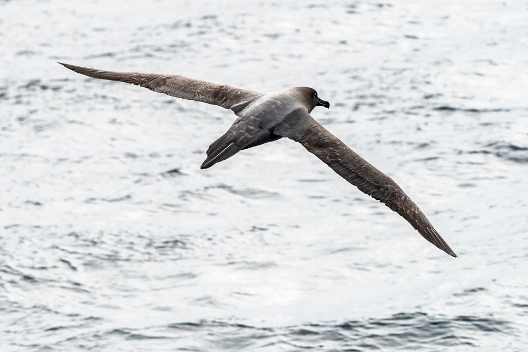 So far the Drake Passage has treated them fairly nicely – according to the ship staff the nicely rolling 6-meter waves that are an average size, can sometimes turn to 10 meters or more. M/V Plancius is an old research vessel and build for rough seas and it is incredible how for the ship staff everything is business as usual even on stormy days! The breakfast is shortly available at the dining hall where plates and glasses are secured by sticky placemats. They stay nicely on the table even in rougher seas. The only thing that slides are passengers’ chairs so timing is key when having breakfast! The day will continue with interesting lectures of Antarctica, both historic and environmental topics, vacuuming of gear to ensure that Antarctica will stay pristine and some more relaxing and fine dining. The ship’s loud speaker does also give regular reminders on the wildlife around. Sightings of Humpback whales, Dolphins and Orcas are an experience itself, not to mention the constant show of various sea birds flying around the ship. Once Antarctica is on sight seals and penguins will join the show. Despite the freezing air, one of the best places to be is the top deck or the ship’s bridge where the Captain navigates M/V Plancius through ice bergs and the rough waters. Leon Clarence, Annastiina Hintsa and Scott Baldridge enjoying the best views! The Last Desert Expedition Ship is at the moment a little less than half way to the planned destination, the King George Island. So far it has sailed 304 nautical miles and there are 346 nautical miles to the destination. It is Satuday evening, 21:20, and competitors have experienced their first full travel day – there is 1.5 days left to go. There has not been that much seasickness on the ship as the weather has been relatively mild. Then competitors left Ushuaia they travelled through the calm Beagle Channel with spectacular views on each side of the Patagonian mountains of Chile and Argentina. The somewhat rough seas started at midnight and competitors awoke to slightly upset stomachs. By mid-day the weather had calmed down and most competitors felt pretty well. All are very excited to finally reach Antarctica on early Monday morning. The first Stage is expected to take place on King George Island and should be begin around 6 am lasting for some 12 hours, if weather is favourable. 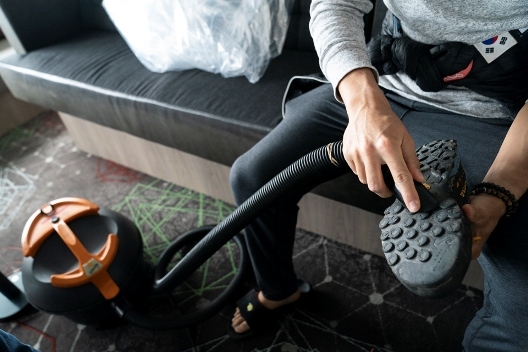 Tomorrow, Sunday, competitors will vacuum their clothing and gear thoroughly to get any unwanted particles off to ensure nothing ends up in Antarctica. The rules of protecting the environment are extremely strict. They will also be provided with boots for the zodiac landings. Competitor Vladmi Dos Santos has done an amazing job of navigating the ship, blind. Vladmi has faced some sea sickness. Rebecca is an American ER doctor and part of many previous RacingThePlanet races both as a medical team member and competitor. In this race she will be racing together with Vladmi. 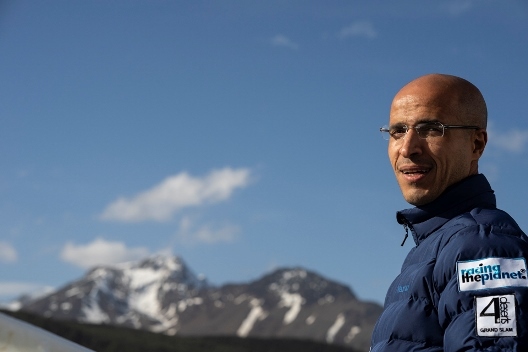 Although Vladmi is incredible experienced in “feeling” any challenging desert terrain with his feet, Rebecca will be Vladmi’s eyes in this race, guiding him though the most challenging parts. They plan to run the whole race together. Martin Hennessey’s most depth thoughts for the day were “It's time for dinner”, which everyone agreed to and rushed down to the dining hall. More photos are expected in the next few hours so stay tuned. It’s just past midnight now on the Beagle Channel. The mandatory equipment check concluded a couple of hours ago. Competitors had to spread out their gear items in their cabins for The Last Desert staff to go it through item by item. It's always exciting as it's really not an option to go shopping more if something is missing! The check went well and everyone has put their sea sick patches on as the ship is approaching the Drake Passage. This is one of the world's most renowned crossings which can produce huge swell and an uncomforable ride. At times the Drake Passage can also be calm, which is when it’s called the “Drake Lake”. Competitors are now resting / sleeping in their cabins and enjoying their first night under the stars of the End of the World. More news will come in the next couple of days as the ship travels though the Drake Passage and start entering Antarctic waters. All updates are subject to Satellite coverage. The official competitor briefing of The Last Desert (Antarctica) 2018 has concluded at the Hotel Cap Polonio in the host town of Ushuaia, the southernmost city in the world. All competitors, plus staff and media crews were super excited to finally meet each other’s, and hear the details of the race. 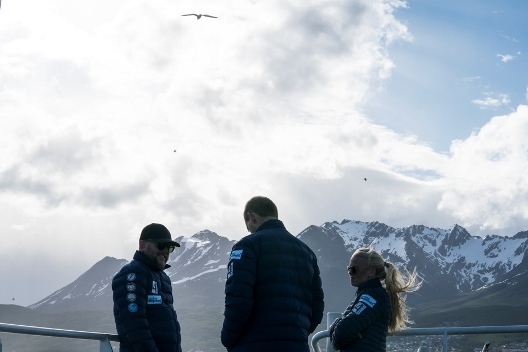 Mary Gadams welcomed everyone in Ushuaia and the Event Director Zeana Haroun and Medical Director Jay Sharp covered the schedule, rules, safety, and medical topics for the next 12 days of the journey to Antarctica. Special welcome went to the group of 12 Grand Slam competitors: Jacqui Bell (Australia), William Chew (Malaysia), Hongseok Choi (South Korea), Leon Clarance, (UK), Heogwak Cheongsin (South Korea), Tommy Jacobsen (Denmark), Hichame Moubarak (Qatar / France), Marek Rybiec (Poland), Bart Van Schilt (Netherlands / Belgium), Takuya Wakoaka (Japan), Wong Ho Chung (Hong Kong) and Dong Hyeon (Jason) Yoo (South Korea). Blind competitor Vladmi Dos Santos who is returning to his 7th race with RacingThePlanet and Team 5 Legs Never Quit got a big hurray from the crowd. Following the briefing competitors walked down to Ushuaia port all together, through the hustle and bustle of the little streets and walked down the long pier there the majestic looking M/V Plancius was waiting. Having just sailed back the previous night it’s a quick turnaround for the ship’s crew that were welcoming all The Last Desert participants on the loading dock. Everyone has boarded and found their cabins and are now getting familiar with the ship. The Captain of Plancius is about to welcome everyone with the Captains Toast, following a safety practice drill. After this there is dinner and following that the mandatory equipment is checked as the last thing in the evening. The evening view through the Beagle Channel is looking gorgeous. More photos has just been uploaded to the website. The streets of Ushuaia are getting busier and more and more competitors are being spotted wearing their RacingThePlanet gear. The official race briefing starts just in 15 minutes and competitors are arriving at the Cap Polonio Hotel. Many are already having coffee in the restaurant area, relaxing and enjoying discussions with fellow competitors. quite a number of competitors know each others from the past RacingThePlanet / 4 Deserts races but there are also new friends to make. Spending two days on the ship without a land in sight will give everyone time to mingle and bond. We have some time to interview competitors as they get ready to have their forms checked downstairs before the briefing. 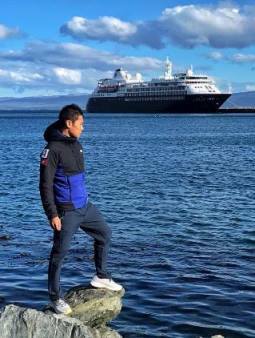 Raymond Chak, a lawyer from Hong Kong, who is part of the team 5 Legs Never Quit says that having seen all different kinds of desert terrain he is looking forward to the the walks on ice fields and the never ending white scenery. "It’s the self-challenge why I come to these races". His team mate, amputee Camel Fung has impressed all of us having previously completed the Gobi March and the Atacama Crossing wearing his prosthetic leg. “The Atacama Crossing is my favourite race so far. It was also the hardest. Completing The Last Desert was part of the bigger plan since 2015, to complete all 4 Deserts Ultramarathons.” Camel has completed every race with his wife Chong Bing Ying. Marek Rybiek from Poland has always wanted to visit Antrarctica so in many ways this race is a dream come true. “Everything is possible if you really want it” he says looking eager to get started. Today is the day! 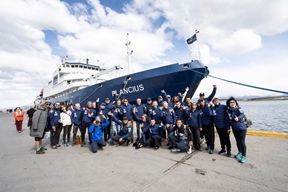 The countdown clock says 0 days to The Last Desert 2018 and the Expedition Ship M/V Plancius will start the sail to Antarctica in the evening. Competitors have started to wake up for breakfast in Ushuaia. The official pre-race meeting takes place at the Cap Polonio Hotel from12:00 to 16:00. This is where competitors will be briefed with the last essential details before heading to the port at 16:00. The ship is scheduled to start sailing shortly after 18:00 after the passenger briefing and formalities. 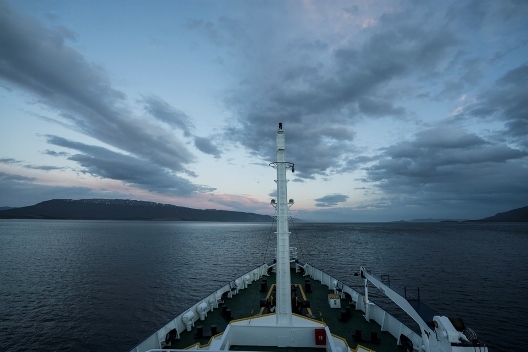 The weather in Ushuaia is slightly cloudy and light rain is expected but it should be a beautiful journey through the calm Beagle Channel before reaching the rough waters of the Drake Passage. More photos are available on the official website. 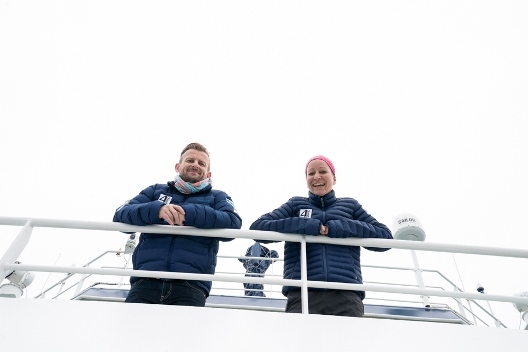 The Last Desert (Antarctica) 2018 gets underway on 23 November when participants board the expedition ship for the 1,000km / 620 mile voyage across the Drake Passage to Antarctica. 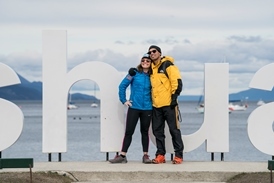 The Pre-Race Breaking News will start on 21 November when competitors arrive in Ushuaia, Argentina from thirty-one countries around the world. Breaking News may also be posted during the voyage until competitors arrive in Antarctica and are ready to undertake Stage 1 which is planned for 26 November. It is just past midnight on Thursday, 22 November in Ushuaia, Argentina. This is the first breaking news for The Last Desert (Antarctica) 2018 - these will continue from now until 3 December when the race has concluded and the expedition ship has returned to Ushuaia. 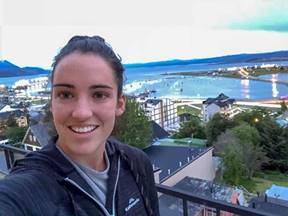 Competitors have started to arrive in the host town of Ushuaia located in Tierra del Fuego, Argentina, from all corners of the world. Ushuai is often referred to as the "end of the world" due to it's location in the most southerly point in South America. There are 31 countries represented in the race. Malaysia, Belgium, Romania, Finland, Guatemala and the Netherlands will be represented for the first time in Antarctica and the 4 Deserts Club! The race is also on for the 4 Deserts Champions who will also be crowned at The Last Desert! 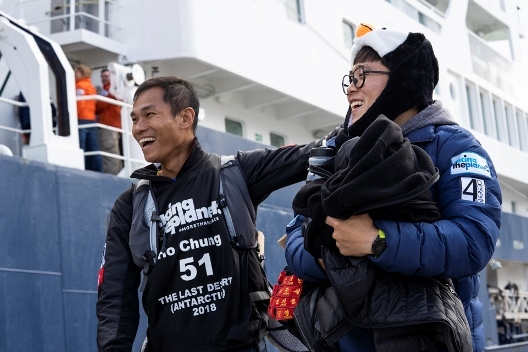 The favourite in the men’s race Wong, Ho Chung has arrived having flown in all the way from Hong Kong as well as Jacqui Bell who is aiming to be the youngest female in the world to complete the 4 Deserts Grand Slam - she arrived in Ushuaia a couple of days ago. 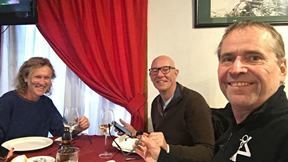 Belgium’s own Joost Muylle, Ann Verhaege and Kurt Masselis have also been enjoying pre-race tapering, including some stake and wine, for a few days. Other arrivals include Sebastian Li from Germany, Scott Baldridge from USA, Marisa Holman from New Zealand and Team 5 Legs Never Quit, amputee Camel Fung, Mrs Fung and Raymond Chak from Hong Kong. The rest of the participants are expected to arrive throughout Thursday. The RacingThePlanet management team, with Zeana Haroun and Mary Gadams in charge are taking care of the final arrangements before the much anticipated meeting on Friday, 23 November with all participants - after which they will board the expedition ship and start the journey to The Last Desert in Antarctica. Photos from the earlier arrivals are below.